A new online store set to launch this this fall aims to give publishers access to a share of the $2 billion used game market - and put an end to the existence of one-use codes. 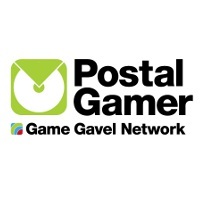 PostalGamer.com has the revolution of an industry in its sights. The site intends to allow gamers to trade in their old games and buy new ones via pre-paid envelope much like Netflix, but with one crucial difference: If games publishers sign on to the scheme, they could stand to make 10% of the profits earned from second-hand sales of their games, money which could mean that they no longer need to use "online passes" or similar restrictions to ensure profit from second-hand sales. In order to receive revenue from the site, publishers would have to start packaging PostalGamer envelopes with their new releases. "Right now, gamers are kind of at war with publishers," said Mike Kennedy, co-founder of PostalGamer. "It really shouldn't be that way." He also insists that because of their lower operating costs, the site will be able to offer gamers a better deal than they can find at Gamestop or other retailers. As neat as the idea seems, some industry analysts are worried that publishers can make enough money from one-use codes to not have to bother with PostalGamer; Kennedy himself has admitted that nobody has signed on yet, though he has had "fruitful" conversations with some of the bigger companies. Regardless, the idea stands as an amicable solution to the dispute over second-hand profit and one-use codes, one that offers gamers the chance to buy a game second-hand while still reimbursing the developer - and if it succeeds, it could change everything about the market.